Thanks to Andre Lieven, Eric Zuckerman, x`	for caption help on this page. 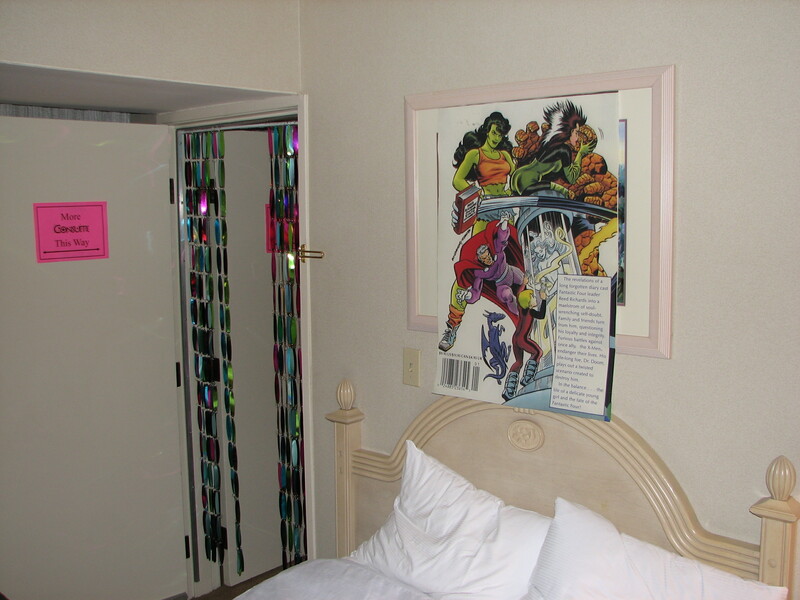 Another room of the Con Suite. 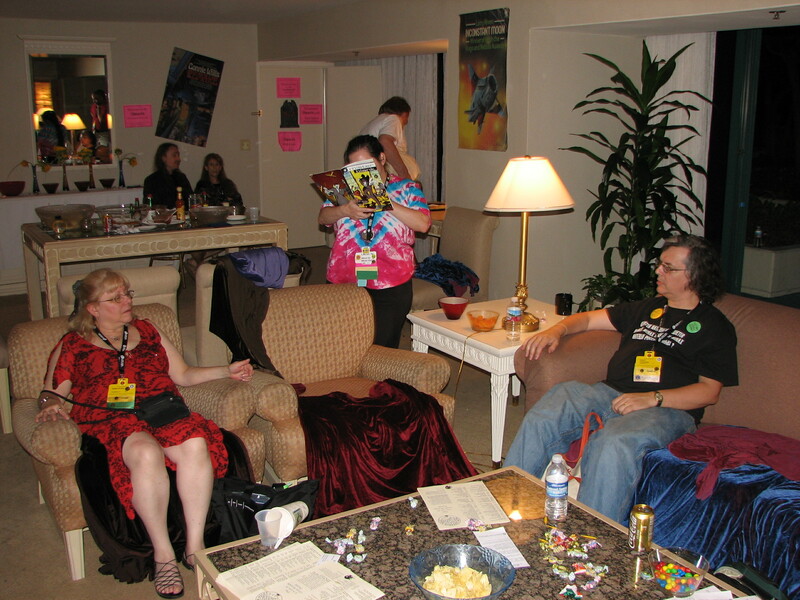 Someone in blue foreground left, Andre Lieven background in chair, Gregory Trocchia in white on bed with somebody else and Debby Lieven in black. 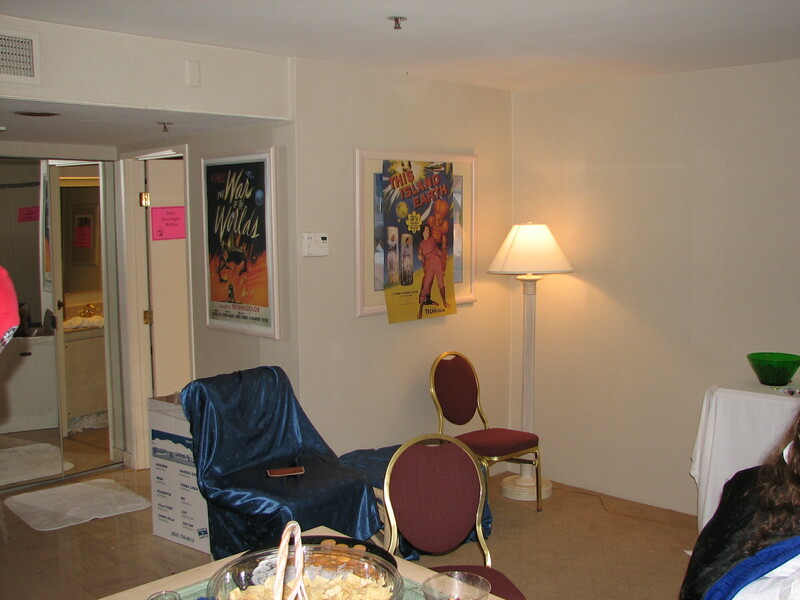 One of the Con Suite rooms. 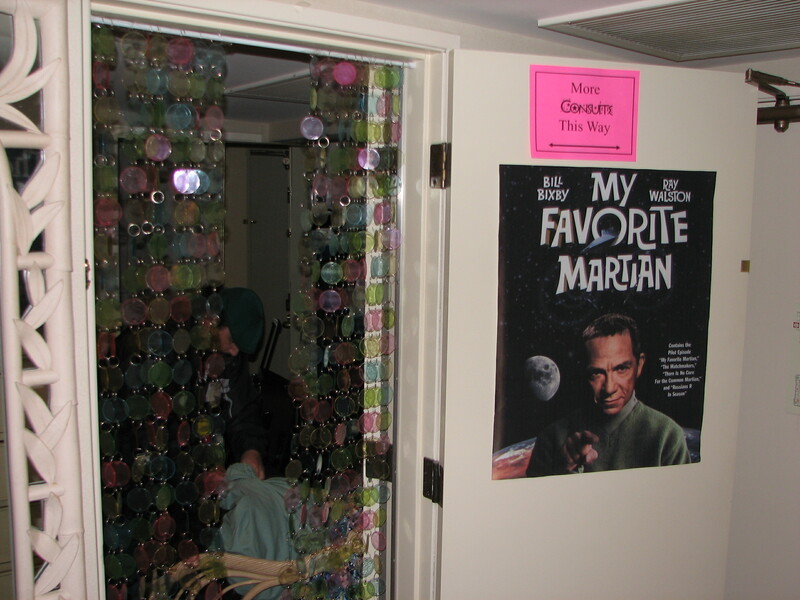 Another Con Suite room, with "My Favorite Martian" poster. Greg (?) working on something in the other room. 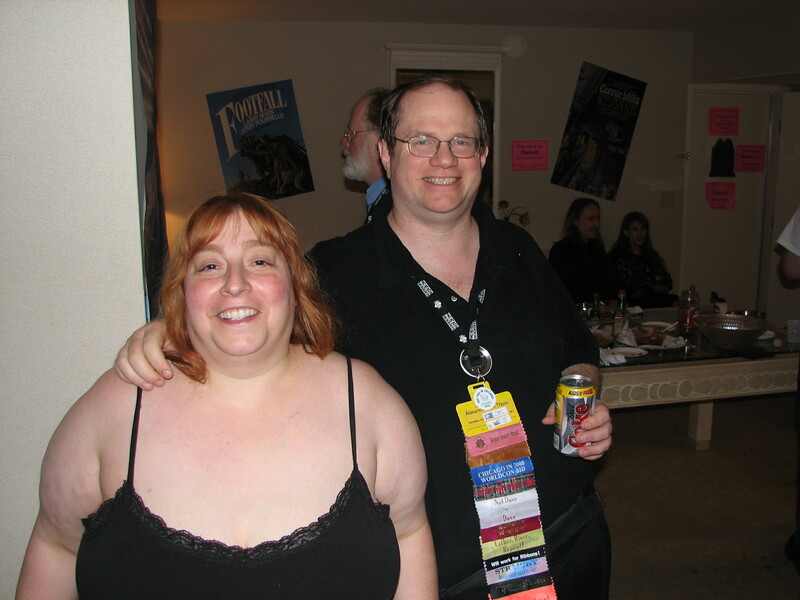 Eric P. Scott in one of the Con Suite rooms. Someone at left in the chair at the left; somebody else in black t-shirt and jeans at right. 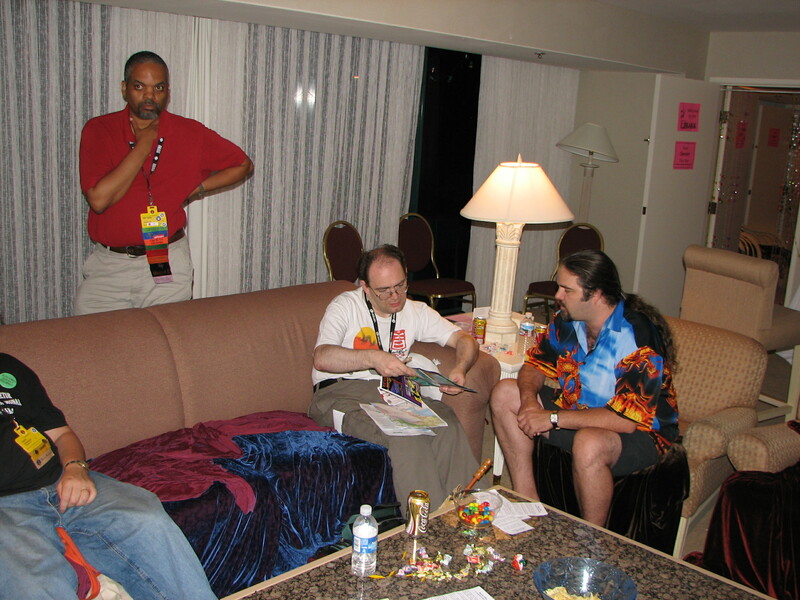 Bill Taylor in red shirt standing behind couch, someone in white shirt on couch and somebody else in chair. Marah Searle-Kovacevic, and Alex von Thorn.